Home Announcements Spring Update Webinar Series for Dynamics 365 Be the first to comment. Dynamics 365 is an amazing tool, but that doesn’t mean there’s no room for improvements. The creative minds at Microsoft have once again found ways to make the platform even better! In this Spring Update webinar series for Dynamics 365, we’re pulling in our Dynamics 365 experts from around the globe to showcase the most exciting changes. From user control setting to Dynamics 365 for Marketing (yes, it’s finally here! ), we’re eager to show how Dynamics 365’s improved ERP and CRM functionality will take businesses to new heights. Read on to learn about each session. To register, click each individual session’s “Register Now” link. What’s New for the Admin? May 10, 2018 | 9:00am-9:30am CST – If you are an Administrator or Developer within Dynamics 365 for Sales or Finance and Operations, the Spring 2018 release showcases a number of changes and new features that are sure to excite. Register now to learn about new features around Extensibility, Servicing, Deployment, and Compliance. This session will highlight some of the biggest changes and how to take advantage of them. This session is in the past. Click here to watch the on-demand recording. What’s New for Customer Service? May 15, 2018 | 9:00am-9:30am CST – The Spring 2018 release of Dynamics 365 for Customer Service delivers investments in user experience, performance, developer productivity, and compliance across the Customer Service Hub, Dynamics 365 Portal, Voice of the Customer (VoC), and Unified Service Desk. This session will focus specifically on the case and knowledge management capabilities, portal experience, and VoC survey enhancements. May 17, 2018 | 9:00am-9:30am CST – We continue to receive enhancements monthly to the Power BI desktop and Service capabilities. Several pre-built app templates have been available through AppSource for Dynamics Sales and Service, Financials, Process analytics, and others. The Spring release is offering new templates and Analytics for Voice of the Customer, Insight Apps for Sales and Service, and the Common Data Service. Excel continues to play an important BI role with additional enhancements. This webinar will explore and demo many of these exciting new capabilities. May 22, 2018 | 9:00am-9:30am CST – The Spring 2018 release of Dynamics 365 for Finance and Operations delivers enhancements in system performance, servicing, reliability, and extensibility. It also offers new ways of integrating with other Dynamics 365 products and adds to the suite of business productivity tools. This session will focus specifically on changes to business productivity, integrations, and compliance as it relates to the finance end user. May 24, 2018 | 9:00am-9:30am CST – Take a look into new capabilities for Dynamics 365 for Talent, added during Business Applications Spring 2018 Launch. These updates help you engage, collaborate with, and empower employees while maintaining your organization’s culture. As we keep people at the center of digital transformation this session will focus on the updates to the Core HR area. We’ll also take a look at how HR professionals can lead the way as our workforce increasingly becomes more mobile. May 31, 2018 | 9:00am-9:30am CST – The Spring 2018 release brings about a significate change to PowerApps and more specifically, the Common Data Service – dividing them into two areas. The two areas have been named Common Data Service for Apps and Common Data Service for Analytics. This session will focus on what’s new in the Common Data Services for Apps and the new integration touchpoints including Dynamics 365 for Sales, Finance and Operations, Talent, and Project Service Automation. Register now to learn more. June 5, 2018 | 9:00am-9:30am CST – The Spring 2018 release of Dynamics 365 for Finance and Operations delivers enhancements in system performance, servicing, reliability, and extensibility. It also offers new ways of integrating with other Dynamics 365 products and adds to the suite of business productivity tools. This session will focus specifically on changes to Project Management improvements, Supply Chain enhancements, embedded PowerApps in workspaces and forms, and custom fields as they relate to the operations end user. 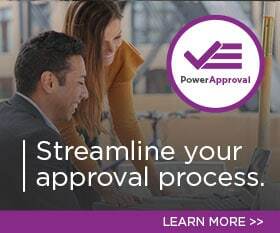 June 7, 2018 | 9:00am-9:30am CST – The Spring 2018 release brought about some big changes to the Business Application Platform including Power Apps, Flow, and the Common Data Service. This session will focus specifically on changes to PowerApps for Applications and Flow. Our speaker will dive into how these tools are modernizing business processes across Dynamics 365 applications while offering up low and no code solutions to help transform how people work. June 12, 2018 | 9:00am-9:30am CST – This session will cover an introduction into the new Dynamics 365 for Marketing app. It will include Customer Journeys, Creating Segments, how this feeds into Voice of the Customer Surveys, and more! We will take a deep dive into Customer Journeys themselves and how to get insights from the customer interactions and behaviors. The session will also explore how you can grade your leads generated from Marketing activity feeding straight back into your sales life cycle within Dynamics 365. June 14, 2018 | 9:00am-9:30am CST – The focus of the Spring Release 18 for Sales is all about intelligence and analytics for your sales team. The updates allow them to stay better engaged with your customers, send the right messages at the right time, and increase their productivity. In this session, learn about the powerful embedded intelligence features of Relationship Assistant, Auto Capture, Email Engagement, and the enhanced integration with LinkedIn Sales Navigator. by Joe D365	April 13, 2018 Be the first to comment.